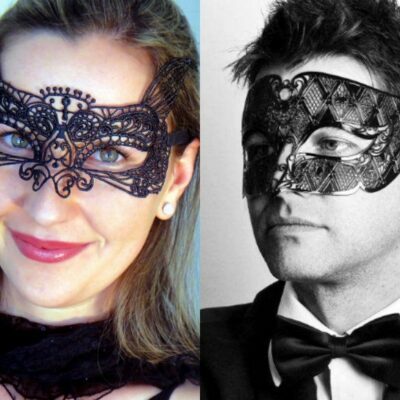 Partner’s perfectly with any one of our Ladies Metal Masks. As a Genuine Italian Made Mens Mask you can expect excellent comfort, fit and styling. 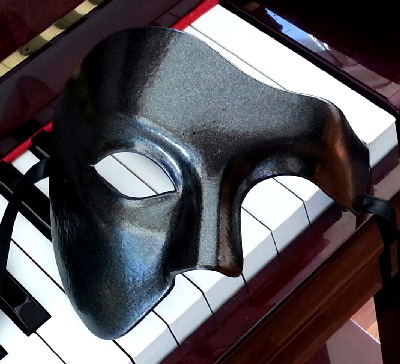 The perfect Mens Metal Mask – this is the real Venetian Mask Made in Venice Italy and of course excellent quality. 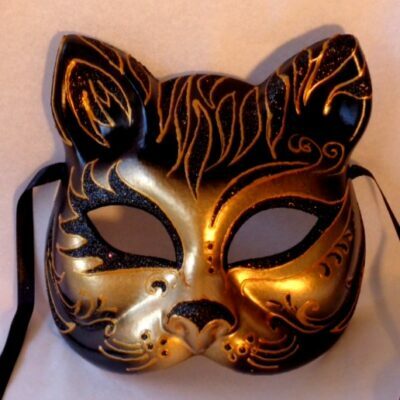 Yes, this mask is very masculine. These strong lines look fantastic, its proportions and decoration are dramatic and authentically Italian. 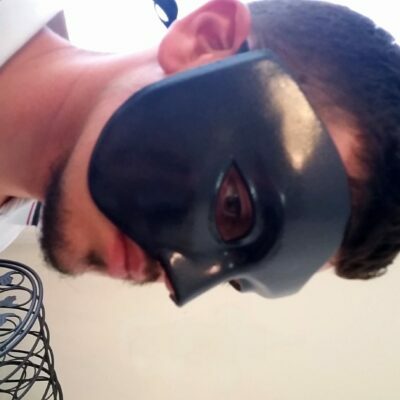 This Mens Metal Mask is Made in Italy. 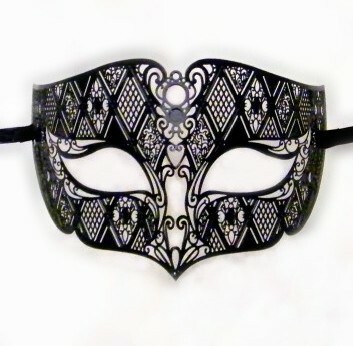 It is the ideal mask to wear to a Masquerade Ball. 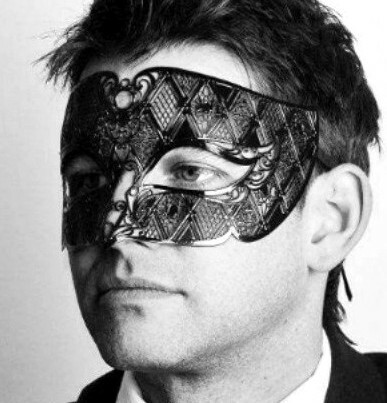 It’s like an Italian James Bond Mask as it looks great with a clean cut dinner suit. 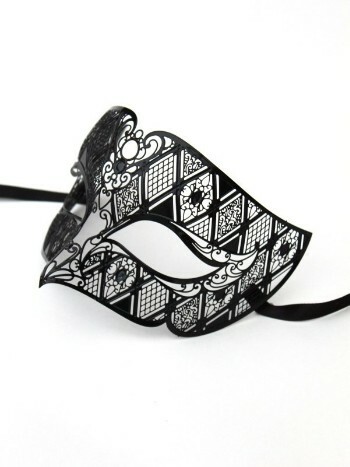 This mask is ideally suited to accompany any one of the ladies metal masks so you’ll look like a couple. You will find this mask to be the most comfortable Men’s Mask available because it is super light and a good fit on all faces. This mask is secured to the face with Ribbon Ties so that you will have a secure and comfortable fit. 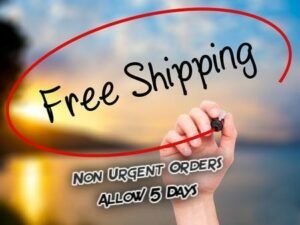 Antoinette provided customer service above & beyond what I expected, through excellent communication and quick response times regarding my order. She also looked into postal delivery loads in my area and adjusted the courier accordingly to honour my requested overnight delivery timeframe. The mask is even more eye catching in person than when I viewed it online. The fine detailing is finished beautifully, and it sits and holds snug but very comfortably on the face. Beyond satisfied with my purchase with both the ordering process, and the product itself. 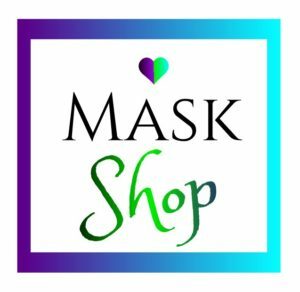 I’ve already recommend the site to friends & I can’t wait to show the mask off! 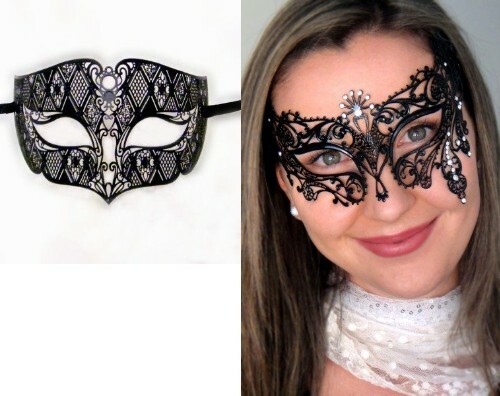 I bought this for my partner for a masquerade ball & he loved it, it’s nice & light & due to the filigree doesn’t get as hot as traditional masks so he could wear it all night in comfort. It’s also very masculine & looks fantastic paired with a suit.